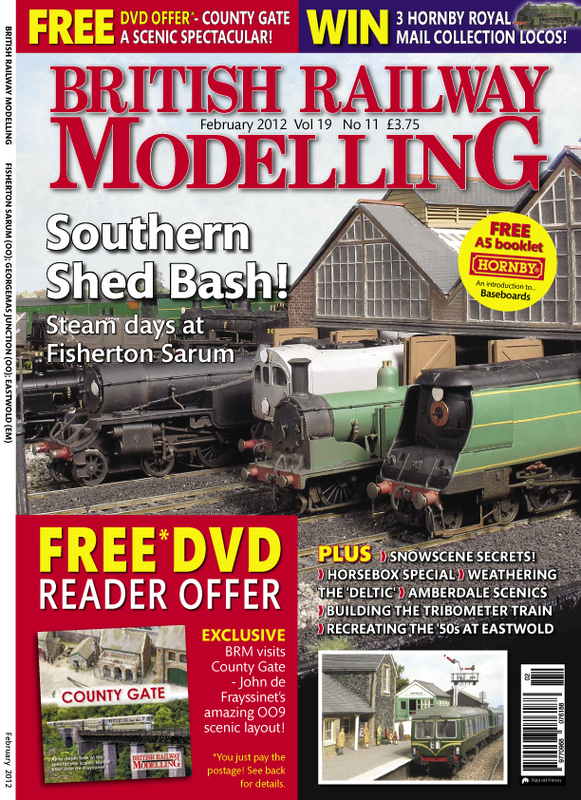 The February issue of British Railway Modelling magazine has today hit the shelves (subscriber copies should have landed on doormats by now too) and features an article about Fisherton Sarum. The article discusses designing and building a layout taking inspiration from an actual location rather than being an exact scale model of a location or being totally fictitious, just as I have done using Salisbury as the inspiration for Fisherton Sarum. The article coincides with Fisherton Sarum making an appearance at the Festival of British Railway Modelling exhibition at Doncaster 11/12th February 2012 a show organised by Warners Ltd., the publishers of British Railway Modelling Magazine. I hope you get a chance to enjoy the article, I welcome and feedback so please let me know what you think. If you are able to get to the Doncaster show in February please come by and say and say hello, Fisherton Sarum will be stand 11. I will be ably assisted by my Mum and Dad (dad of course is featured on my layout in his younger days trying to bunk the shed, just as he did at Salisbury),along with Roger, Mark and Daniel from the High Wycombe and District MRS.